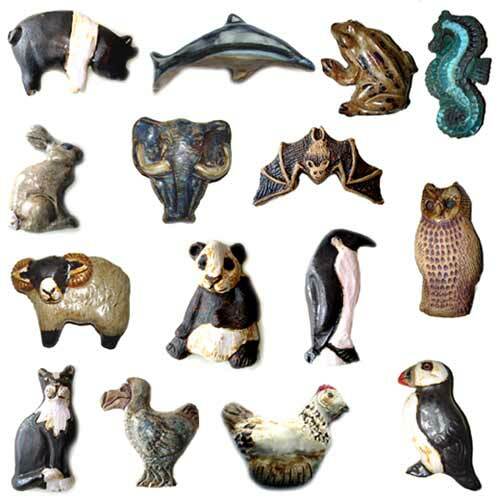 DESCRIPTION Novelty animal ceramic designs fitted with a large round magnet on the reverse. The powerful magnet is a large 3cm diameter disc held securely in place with epoxy glue. These little hand made designs are also frost proof and water resistant and can be used safely outdoors in a mosaic or cemented into a water feature.